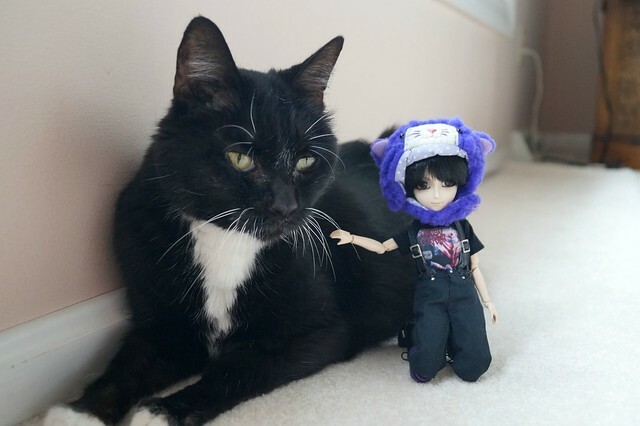 Zuki and Hoshi are so cute. Bengals are the best (I don't know if I will ever go back to "normal" cats), but prepare yourself for more feline destruction! Oh my goodness, I know. And it's amazing how playing with something as benign as a plastic spoon in the middle of the night can make you jump out of bed because it sounds like something breakable! ._. My poor boys were attention-starved: they belonged to a couple who was going to start breeding and then had a baby and then decided they needed to re home their cats. From everything I've read Bengals aren't supposed to be lap cats, but my Zuki is so clingy...he cries the most pathetic meows until I pick him up for a cuddle. 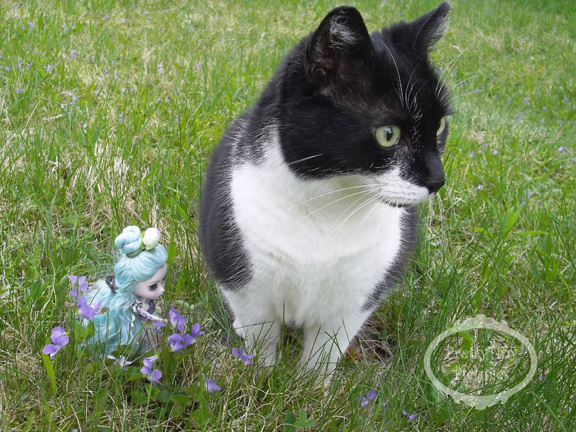 Here is Nyx checking out my Pullips. 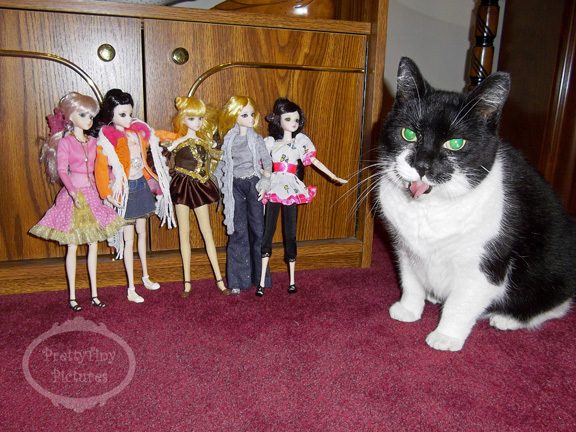 BTW there are not one, but TWO Flickr groups dedicated to dolls and pets. Awesomeness!! TWO groups! Squeee!!! Some of those pix are really funny. My fur child photobombed this afternoon's activity. It looks like both of them saw something interesting over there, adorable! Oh my gosh these are all too cute! Masala is wondering where all the new arrivals are going to go.. Ace is the only one left of my 3 cats. He's 15 now and he's decided he is going to live longer than the other two and run up twice the amount of vet bills while he's still around. Not my video, but this seemed like a good place to put it. Pretty hilarious thankful my two giant monsters did not paid attention to my dolls so far.